There is no such thing as "best" eCommerce platform. Different businesses have different kinds of software requirements. There is no one-size-fits-all solution when it comes to choosing an eCommerce platform. However, based on your business goals and requirements, there can be an appropriate eCommerce platform for you. One important factor to take into consideration is that simply building an eCommerce website wouldn't be enough. When you run an online business there are a lot of factors to consider while choosing an appropriate eCommerce platform. When you sell online, you don't want to limit yourself to just selling on your own web store. Along with that, you may also consider selling on a various marketplace like Amazon, eBay etc. So when it comes to choosing an eCommerce platform, you have to do so based on your business needs and goals. 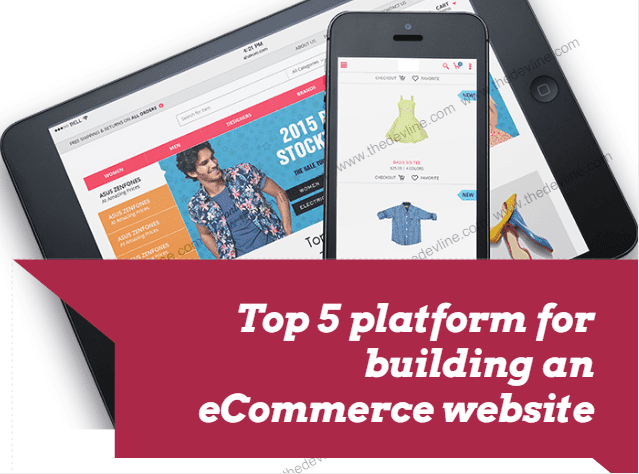 However in this blog, I’ll be sharing with you Top 5 platforms for building an eCommerce Business. Magento is one of the most famous and widely used eCommerce platform available in the market. It is fully customizable and scalable. Magento Community Edition is license-free whereas Magento Enterprise Edition comes with a sizeable price tag. So based on your business needs, you can decide which version suits you. Shopify makes it easy for you by taking the responsibility of coding and web-hosting concerns and helps you create a good looking eCommerce site. It is very easy to launch a web store with Shopify as you barely need any technical skills to set it up. Luceat, an Enterprise eCommerce platform is crafted by eCommerce experts at Emipro. Luceat provides a unified solution to each and every online business needs. It takes care of all your vital business operations so you can focus on your core business activities. Whether you sell online on your own web store or on marketplaces like Amazon, eBay etc. or you run an offline retail store, Luceat got you covered. Luceat integrates all your business operations under one roof making it easy for you to manage. Check out this Explainer Video to know more about Luceat. BigCommerce is also a good option for choosing an eCommerce platform. It comes with all readymade features and a paid hosting service. It is easy to install and manage which makes it a good choice for starting out. 3dcart is a feature-rich eCommerce platform that serves online businesses of all sizes. It is affordable and fully hosted. It is easy to use and provides good design options as well with its various themes. As listed above, these are some of the best available options for eCommerce platforms available in the market. Magento & Shopify are very famous and widely used. Luceat is a unique Enterprise level solution for any online business and remains an ideal choice. BigCommerce & 3dcart are also good options but comes with some trade offs. Ultimately it relies on a business owner to make a smart and wise choice as choosing an eCommerce platform can make or break your business.